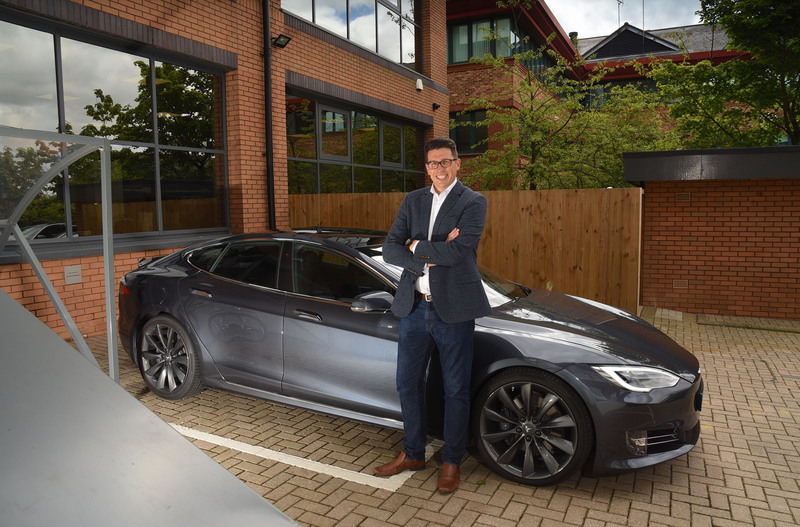 Peter Thompson always haggles a discount on his new cars but when it came to his latest model, a Tesla Model S 90D, the businessman was forced to admit defeat. “I pride myself on the discounts I negotiate but this is the first time I’ve paid list price for a vehicle,” he says. But if he thought that, as compensation, he might be offered a discount by the ‘back door’ in the form of a little extra for his trade-in, an Aston Martin V8 Vantage S Sportshift II, he was to be disappointed again. Thompson says: “The Aston was a beautiful car which, new, cost me £112,000. It had loads of extras including interior upgrades and a black, aluminium grille. I chose Volcano Red with a black leather interior, and the ‘waterfall fascia’ from the Vanquish. “I part-exchanged it when it was 18 months old. According to my research, it could command a dealer forecourt price of around £81,000. In my experience, high-end dealers will look to have around £4500 in a car when they buy it, so I guessed an Aston dealer would have offered me around £76,500 for it. Tesla offered me £76,000 which, by my reckoning, meant they weren’t giving me any additional allowance. Tesla’s sales are bundled together with ‘Other Imports’ in the monthly new car registration figures issued by the Society of Motor Manufacturers and Traders but account for most of them. On this basis, Tesla had sold about 1800 cars by the end of May, down 19% on the same period in 2017 – a trend echoed by a 4.9% fall in the sales of electric cars overall. Why doesn’t Tesla do what just about every other car maker does and force sales by inflating discounts and trade-in allowances, and hang the consequences? It’s not as if it doesn’t need the income. At the end of the first quarter of 2018, the company’s debt stood at £1.5 billion. “We don’t discount because Tesla is a mission-driven company,” explains a spokesperson. It’s why Tesla claims not to run its service departments as a profit centre (it says it runs them at break-even) and why it doesn’t insist on an annual service to maintain its new-car warranty. It recommends having one, but says that missing a service will not invalidate the warranty. The UK government has told motorists they have until 2040, when it bans the sale of new petrol and diesel cars, to wean themselves off the internal combustion engine. If the used cars that Tesla’s trade- in programme is attracting are anything to go by, many drivers have already given up the habit. In addition to Thompson’s Vantage, the car maker claims to have taken in supercars including Bentleys, Lamborghinis and Ferraris, in addition to more mainstream part-exchanges including Range Rovers, Jaguars, Mercedes and BMWs. 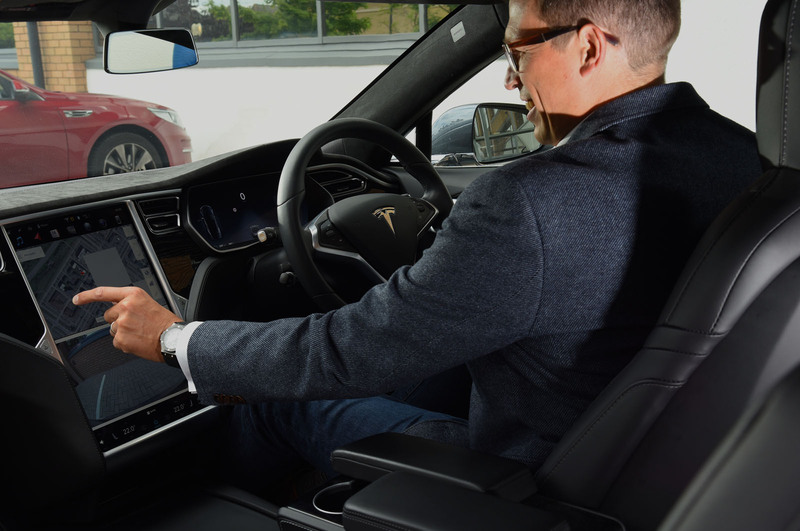 Tesla trade-ins are prepared and retailed by the company and non-Tesla cars sold to a network of buyers. It’s difficult to believe the company wouldn’t strive to turn a profit on them but while Tesla’s spokesperson admits that occasionally it does, she insists it doesn’t seek to. At least while Tesla can balance its mission-driven approach to business against the need to service its growing debt, the company will continue to satisfy haggle-weary souls like Russell and Peter. Or perhaps reality will one day bite. Anyone fancy 10% off a Model 3? 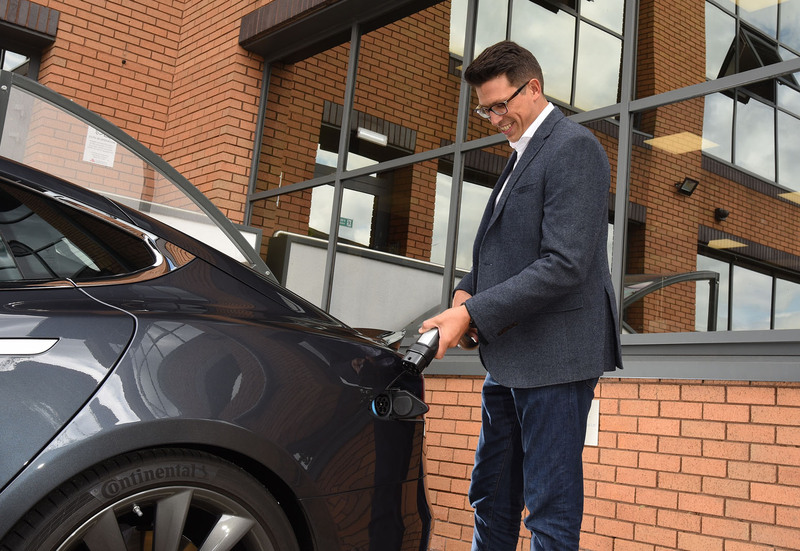 IT consultant Dave Talbot says he was drawn to Tesla not only by the technology incorporated into its cars but what he believes the company is doing for the environment. However, he also realised that, after crunching the numbers, he’d be £300 a month better off buying and running a new Tesla Model S 90D over the cost of his old Mercedes-Benz ML250. “I really bought into the Tesla deal,” he says. “Mercedes discounts its cars to keep you away from BMW, and vice versa, but with Tesla the list price is the price you pay. “They tell me even the staff don’t get a discount. I like that. I get around 300 miles of driving range from a fully charged battery and to recharge from 20% to 80% takes 40 minutes, during which time I have a break and catch up with work. Super Rich B******d. He lost in 18 months over 35 Grand!!!!! Thats double more than ya' average motorist in the UK spends on their new car!!!! "we dont discount because Tesla is a mission driven company"
Oh please how can a seemingly sane businessman fall for BS like this. This is a company on the edge....thats why they are hanging onto every penny. What astute business man accepts that kind of loss in such a short time span? Teslas have their faults but theyre not lumps of rubbish. The most interesting snippet of information here is the fall in sales of electric cars in the UK by nearly 5% year on year. This isn't what I was expecting given the regular launching of new models, including the sales leading Nissan Leaf. Have we reached saturation point already, or is this just a hiccup? I think it is saturation point or getting close to for those that can both afford to buy or that the range fits within their life style, we could easily have an electric car, even the lower range cars like the zoe would fit in our daily driving routine but we cant afford the purchase or monthly cost including battery lease. So I think until electric car ranges increase for other buyers or prices make them more affordable, which I think will be very soon, we have a temporary saturation point. As for swapping the Aston for the Tesla, the only shocking bit is the loss on the Aston, which would have been similar no matter what he bought, at least negotiating a discount lessened that loss from if he had paid list for the Aston, And any loss on the Tesla will be the same as everyone elses. Its not right to criticize him for affording that loss.